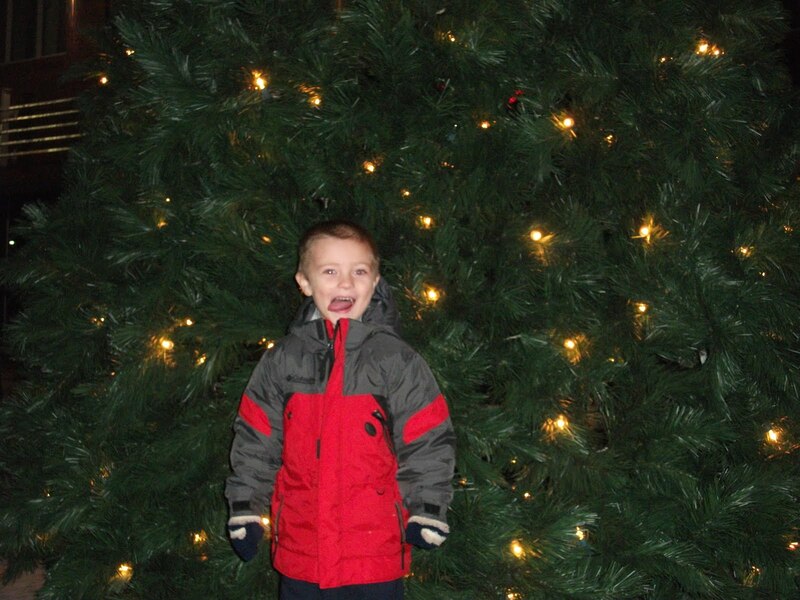 Now that I have the tree up, all we need to do is to decorate it. But GG is sleeping over a friends house tonight so it will have to wait for another night. Do I dress them in their Christmas best, fix their hair, and set things up all nice like an actual photo studio? Or should I take what I can and try and capture their personalities, no matter how good or bad they look? GG and Little Dude do have the ability to take a really nice picture together, but lately, Little Dude has been a little difficult. 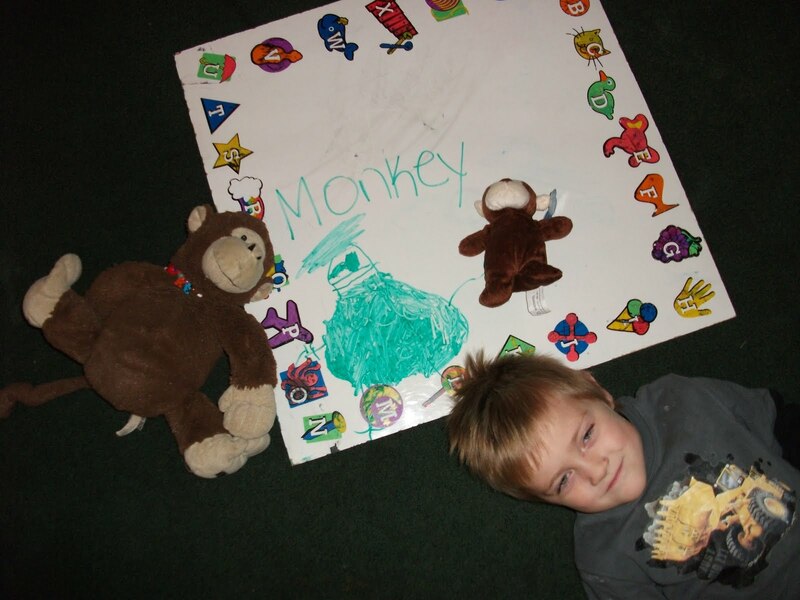 He loves monkeys and I thought it would be awesome to take a picture of him, his monkeys, and the monkey he drew. Really, he tried to say cheese and look all nice and handsome, but he ends up looking drunk! 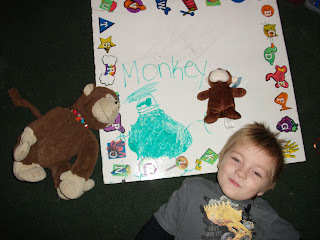 And by the way, he's been trying to look at things and draw them. It is so funny to see the look of concentration on his face! Sometimes he even sticks his tongue out because he's concentrating so hard! Maybe I could use this one instead? He said "Cheese", but as soon as my finger hit the button, this is what I got! Notice there's no goofy pictures of GG. Little Miss I love attention She loves pictures and always smiles nice. Do I attempt to take a beautiful picture of my babies in front of our tree? Or should I use this one and show off their goofy personalities instead? I say let them be goofy! I love the personality shots! Im all about the candids! I think the candids always turn out adorable. Oh the pressure of a good holiday photo! I am planning to wait until BGV arrives ... and then attempt to take a shot of the sisters together ... guessing that has about zero chance of working out ... perhaps I'll send New Years cards instead ... to give myself plenty of time to capture the "right" moment ;) I say try a few dressed up shots and then you always have the candids as Plan B! i always loved either one...the ones I can't stand to get are the ones where everyone looks like they have a stick stuck somewhere naughty.